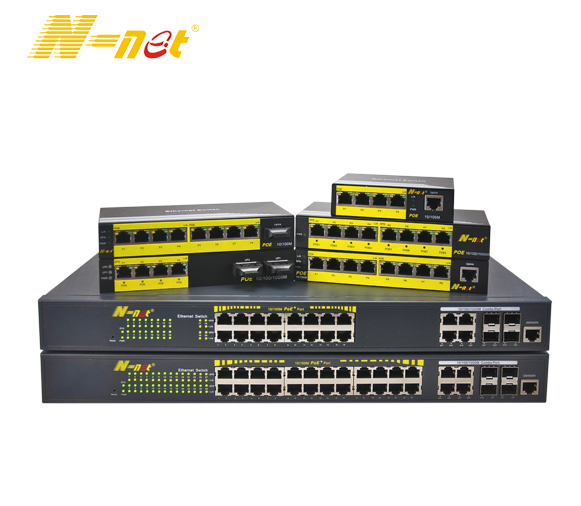 Product categories of Passive Optical Network(PON Series), we are specialized manufacturers from China, Passive Optical Network, GPON Technology suppliers/factory, wholesale high-quality products of PON Network R & D and manufacturing, we have the perfect after-sales service and technical support. Look forward to your cooperation! A PON consists of an Optical Line Termination (OLT) at the communication company's office and a number of Optical Network Units (ONUs) near end users. Typically, up to 32 ONUs can be connected to an OLT. The passive simply describes the fact that optical transmission has no power requirements or active electronic parts once the signal is going through the network. N-NET supply Ethernet Passive Optical Network (EPON) and Gigabit-Capable Passive Optical Network(GPON),EPON and GPON are popular versions of passive optical networks (PONs). All PON systems have essentially the same theoretical capacity at the optical level. The limits on upstream and downstream bandwidth are set by the electrical overlay, the protocol used to allocate the capacity and manage the connection.